Deinonychus was a carnivore (meat-eater) that lived in North America during the early Cretaceous period, about 115 million years ago. Deinonychus was about 11 feet (3.4 meters) long and weighed about 160 pounds (70 kilograms). Deinonychus was a predator, and probably hunted in packs. Its most formidable weapon was the curved claws on its hind feet - and it is from these claws that it gets its name, which means "terrible claw". Movie goers will remember that one of the main villains of the Jurassic Park movies are Velociraptors. In the films, Velociraptor is being depicted as being about as large a human, and fossils of the animal are shown being found in Montana - in reality, Velociraptor was actually quite a lot smaller than a human and was only found in Asia, so what the film-makers appear to have done is "beef up" Velociraptor by adding some characteristics of Deinonychus (which did live in North America and was larger than Velociraptor). While we can't be sure that is explanation is correct, it does make sense because in the Jurassic Park novel, a character states that Deinonychus is considered to be one of the Velociraptors (in reality, Deinonychus is closely related to Velociraptors, but is still considered to be a separate Genus). Like Velociraptors, Deinonychus is now believed to have been covered in feathers, and had a warm-blooded bird-like metabolism. However, although often thought of as a fast-runner, the bones of the leg tend to such Deinonychus may not have been one. North American Dinosaurs - Deinonychus lived in North America. Deinonychus was a genus of dinosaur. 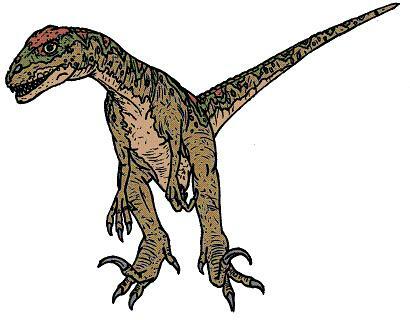 Deinonychus was a member of the Saurischia ("lizard-hipped") order of dinosaurs. What this means, is that although Deinonychus was not closely related to lizards, it did have similarly shaped pelvic bones. 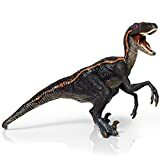 Deinonychus was a Theropod - a member of a group of related bipedal dinosaurs that included the ancestors of birds (although Deinonychus was not itself an ancestor of birds). Deinonychus lived about 115 million years ago, during the Cretaceous period. Deinonychus lived in North America. Deinonychus was a carnivore (meat-eater). Deinonychus was about 11 feet (3.4 meters) long. Deinonychus weighed about 160 pounds (70 kilograms). Collectable, educational and ideal for school diorama projects. 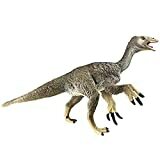 SMALL BIPEDAL CARNIVORE - The velociraptor was a small bipedal carnivore, its name means "nimble thief." The velociraptor had powerful jaws; it measured 1.80 m long with a height of 1.20 m and a weight of 15kg. BEAUTIFULLY FINISHED AND DURABLE - This figure is beautifully finished and the extreme attention to detail is universally recognised. This figure is made of a very high quality plastic, its measures approximately 6.5 inches; Suitable for ages: 3+ Years. The Papo range comprises all kinds of People, Animals and Creatures, included in the Papo toy range are: Wild Animals, Farm Animals, Horses & Equestrian, Dinosaurs, Fantasy World, Knights, Historical Figures, Pirates, Fairytale Worlds and much more. Papo items feature true to life modelling, in compliance with all relevant safety regulations and are meticulously handpainted. 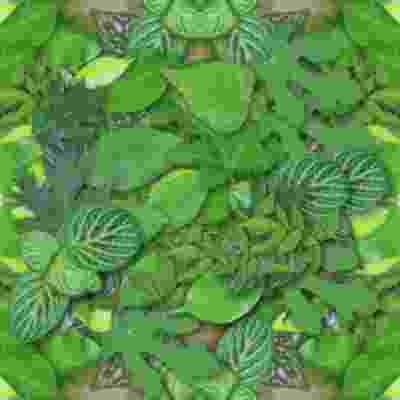 ☺ Exercises imagination and creativity; helps kids, toddlers and teens to learn with pleasure while playing and having fun. Deinonychus lived during the Cretaceous period, about 110 to 100 million years ago. Deinonychus may have hunted in packs, attacking even very large animals, perhaps even large sauropods and ankylosaurids. This 3" specimen is a Dinosaur Replica or Dinosaur Reproduction. One of earth science resources. 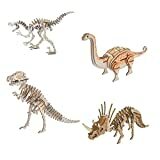 Among the best fossils for kids. Makes for a great dinosaur gift. 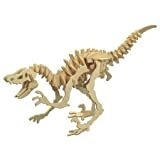 Size(Box) : 5.9" x 4.3" x 2.2"
First of the raptors, Deinonychus was discovered by renowned paleontologist Dr. John Ostrum. Name means "terrible claw." Deinonychus was larger than the more popularly known Velociraptor but otherwise was similar in form and probably hunted in a similar manner. A super cast! Cretaceous (115 m.y.a.). Wyoming & Montana, USA. Family Fun Time  -- Great toy for family members to play together. Building the family bond while parents, children and siblings are enjoying their family time. What is better than building something together? Show Time -- This finished piece of art is a living trophy! Nothing is more rewarding and inspirational than this! They can be home decor display on TV stand, desk and so on..
Order it anytime you want, just contact Amazon for a refund if you don't really like it! You may keep the product, no quetions asked. It takes around 280 days（40 weeks) to welcome our newborns to this world, but we believe it is not only just a start for our baby, but also a reborn of the parents. Beyond280 was founded by a father would like to manufacture and distribute safe & practical products for the new parents, the babies Χldren. The founder likes outdoor recreations, travel and sports. Beyond280 believes life is a journey and it is All About Growth. Beyond280 is always motivated to dedicate to improve and grow with our customers.